Parking: Lot 7 outside of the Bowen-Thompson Student Union. 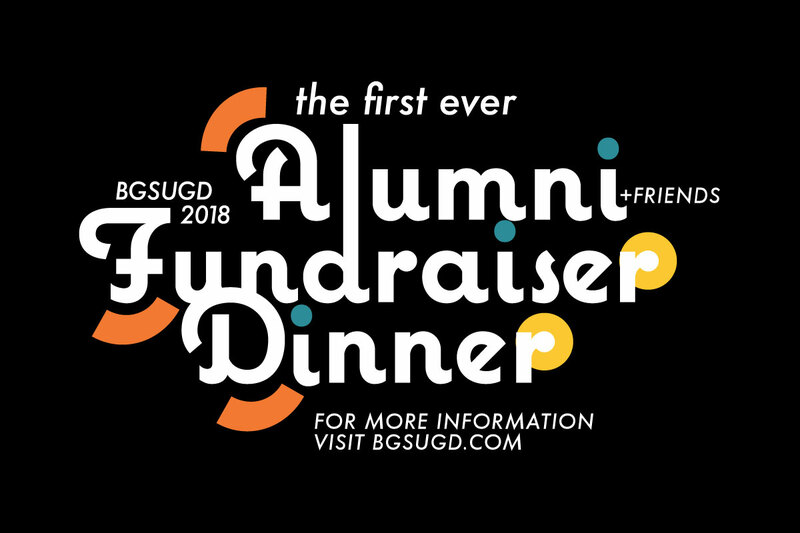 Additional parking available in Lot 3, Lot 4, and Lot E.
Held in conjunction with r:evolve, the 2018 Portfolio Review Day, we are pleased to announce our first ever alumni & friends fundraising dinner! Please join to support the Graphic Design program at BGSU and reconnect! Complete with keynote speaker, Rick Valicenti, and a silent auction during the dinner, this is sure to be a great night. Please send company name/logo to lyoung@bgsu.edu for inclusion on materials. Purchasing Sponsor Tickets? Please contact Lori Young, lyoung@bgsu.edu for promotion details. BGSUGD thanks you for your support. Guest Attire is Business Casual.